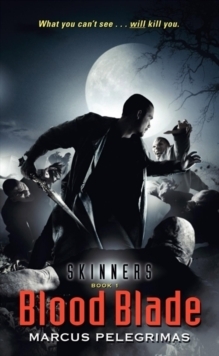 "Twilight fans hungering for more vampire/werewolf drama can look forward to Skinners." 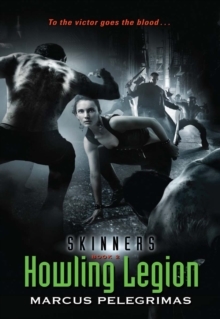 -USA Today There are werewolves in the subways! 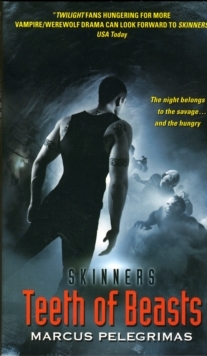 Teeth of Beasts, Marcus Pelegrimas's third dark, violent, action-packed Skinners paranormal adventure, is a must for Jim Butcher and Laurell K.
Hamilton fans, for Halo aficionados, and for anyone who loves a good, gory, supernatural story that creeps under the skin. Bram Stoker Award-winner Jonathan Maberry calls Pelegrimas's series "A hell of a lot of fun," and the latest chapter goes to glorious new extremes, with vampires, shapeshifters, savage inhuman beasts, and all manner of terrifying things that go bump in the night.